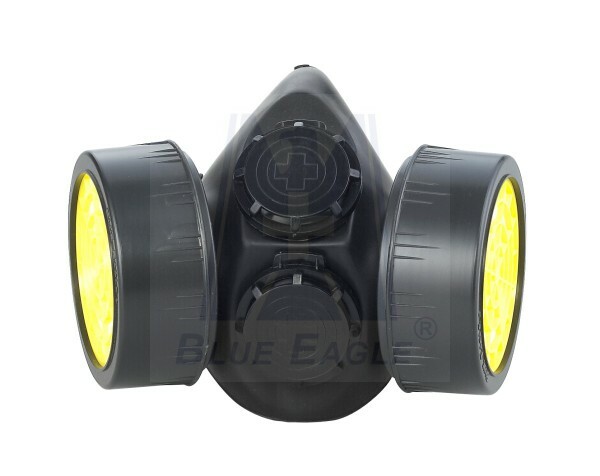 Detail Produk "Toko Masker Respirator BLUE EAGLE NP306 di Bogor"
Description :Twin Cartridges, Twin Exhalation Values Features : BLUE EAGLE Chemical Respirator Item No. : NP306 Material: TPR Color: Black Features: Twin filter cartridge. Twin exhalation valves. Use with RC series filters: RC201, RC202 , RC203 , RC205 , RC206 , RC209. Made in Taiwan. Pemesanan hubungi : +62 341-578742 ( Kantor ) 0852 3311 1221 (HP & WhatsApp) 0852 3408 9809 (HP & WhatsApp) Email : info@jualsepatusafety.com & info@hildansafety.co.id Website : www.HildanIndonesia.com & www.HildanSafety.co.id PT.HILDAN FATHONI INDONESIA : Jln.Moch.Rasyid No.9 B, RT.12 RW.O3, Kelurahan Mulyorejo, Kecamatan Sukun, Kota Malang – Jawa Timur – INDONESIA 65147.